The local jersey returns to the black and white outline that has not been seen in several years, without adding anything remarkable beyond the buttoned collar that we will also see with Benfica. 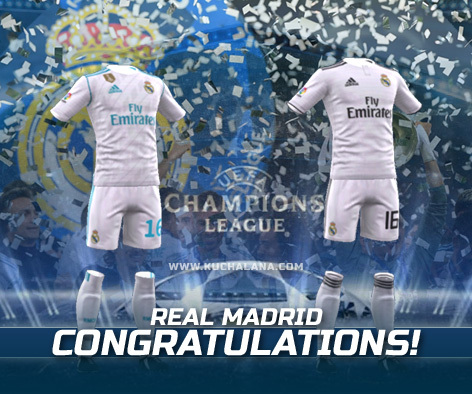 Congratulations Real Madrid for winning 2017/18 UEFA Champions League title. 34 Komen untuk "Real Madrid 2018/19 Kit - Dream League Soccer Kits"
Piala dunia antar clubx mana? ....sy mau maen... Cepat kasih..
Min kits puma ac milan 2018/19 ?? 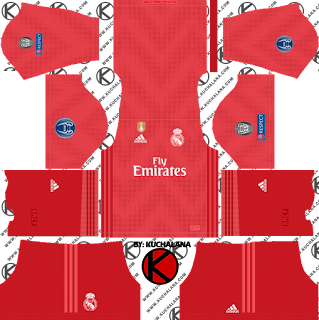 Please update the 3rd kit 2018/19 with club world cup badge please . Very Very Nice patch! And.... 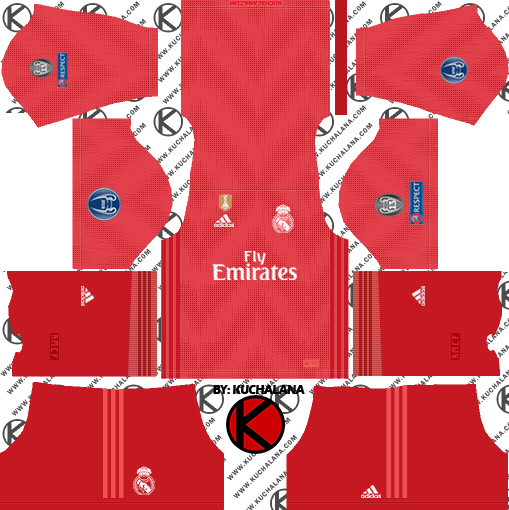 Please update the kit 2018/19 with club ligue 1 reims. 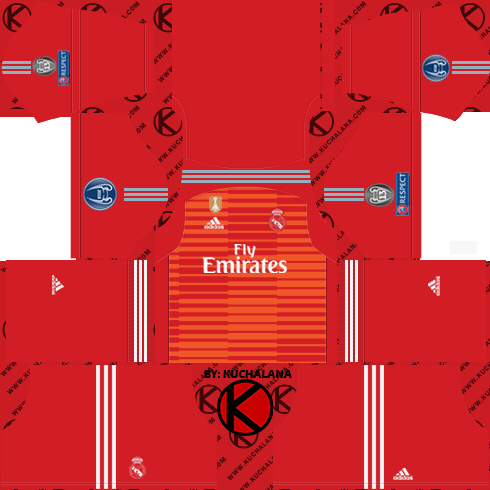 hey bro can you make thi kit (by concept kit web site) !? Can you create please PANATHINAIKOS KITS FOR DREAM LEAGUE SOCCER SEASON 2018/2019? 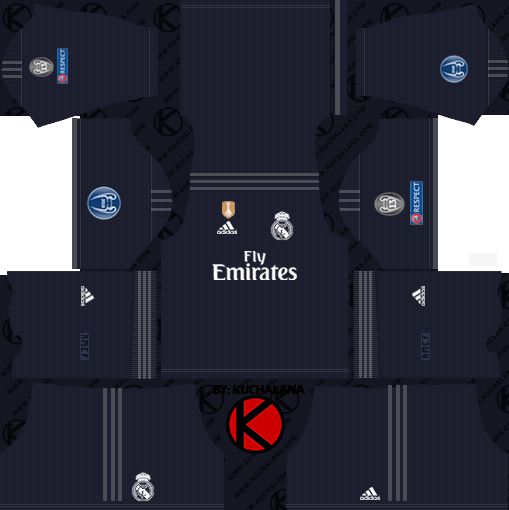 Por favor, poderia ajeitar o emblema do time no segundo uniforme no peito? Ele ficou um pouco grande comparado com os outros, obrigado. Atualização! No caso do emblema no peito, são dois kits não um. São eles o segundo kit e o terceiro (Sendo o segundo o do emblema do vencedor da UEFA Champions) Obrigado.